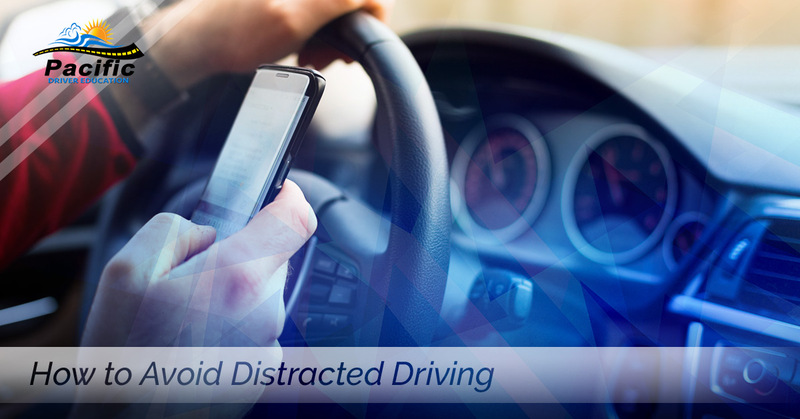 It’s becoming easier and easier to get distracted while driving. With construction going on throughout the Gresham area, motorcyclists, fun tunes on the radio, your phone going off, birds — there are a variety of things that can quickly grab your attention from the road. It’s during these split seconds when your eyes are turned and your mind is unfocused, when accidents can happen. 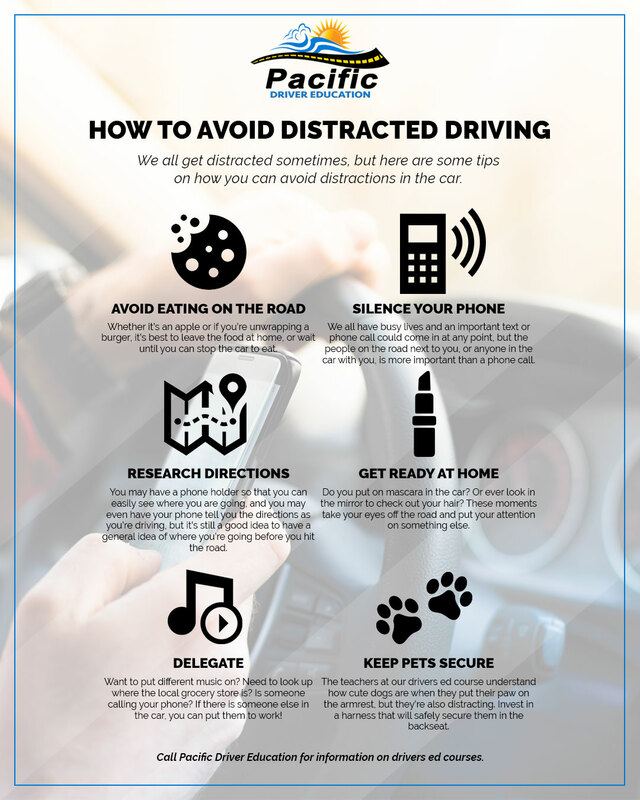 At Pacific Driver Education, our top priority is to help young and adult drivers alike learn to focus on the road and become better drivers. Through our drivers ed classes, you can become a more confident, proficient driver. Whether it’s an apple or if you’re unwrapping a burger, it’s best to leave the food at home, or wait until you can stop the car to eat. All it takes is a few seconds for things to change on the road, and these seconds you could be looking down to make sure you don’t eat part of the core or that you don’t drop a piece of lettuce in your lap. Even though we all have busy lives and an important text or phone call could come in at any point, the people on the road next to you, or anyone in the car with you, is more important than a phone call. Even if you plan on not picking up the phone when it buzzes, even the sound could make it harder to stay focused on what you’re doing. The teachers at our drivers ed course understand how cute dogs are when they put their paw on the armrest, or when they’re trying to jump from the front seat to the back, but they’re also distracting. Petting them, or letting them lick your face is another distraction that could be avoided when they’re secured in the back seat. You may have a phone holder so that you can easily see where you are going, and you may even have your phone tell you the directions as you’re driving, but it’s still a good idea to have a general idea of where you’re going before you hit the road. If you are unsure about the directions your phone is giving you, you won’t have to pick up the phone to make sure it’s right. Do you put on mascara in the car? Or ever look in the mirror to check out your hair? These moments take your eyes off the road and put your attention on something else. If your hair isn’t exactly how you’d want it, you’ll be more likely to try to fix it, making you even more distracted. Want to put different music on? Need to look up where the local grocery store is? Is someone calling your phone? If there is someone else in the car, you can put them to work! The less you are doing while driving, the better. Get expert training with a drivers ed course from Pacific Driver Education. We teach new drivers, adult drivers, and even have fleet training. Call us today to learn more and to sign up for a driver’s education class!